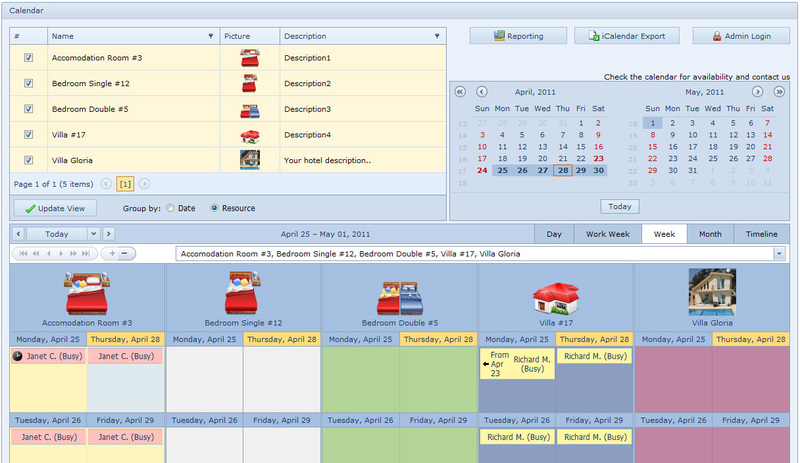 Web-based hotel reservation system. Schedule any number of rooms and other facilities such as hotel rooms, apartments, classrooms, room rentals, sports and recreation rooms, clinics, buildings, even outdoor areas. If you already have your own webpage you can add our online booking system to your own webpage.